Late last year the National Library announced some decisions that will affect teachers, students and librarians from nearly every school in the country. The National Library are going to enhance their online curriculum service but "from term three 2015 print loans will be reading engagement-focused rather than curriculum topic focused as they are currently. These quality fiction and high interest non-fiction loans will also go to the whole school rather than individual teachers and librarians." The attached flier states "The emphasis of the new service will be on supporting students to read for pleasure, as a foundation for learning achievement". school libraries will have to use our budgets to buy more books to support the curriculum. books are going to clog up our shelves because curriculum topics aren't always taught every year and are not as popular with students. we will have less money to spend on quality fiction and high interest non-fiction because buying non-fiction books to support the curriculum is expensive. most schools will be unable to supply a decent amount of curriculum books when multiple classes/the whole school do the same topic (as is often the case). When asked where schools can get print resources to support the curriculum the National Library replied "The school library has an important role in supporting local curriculum delivery, working across the school to supplement resources. The Ministry of Education also provides print resources, and where appropriate schools can access their local public library." It makes no sense to me that every school will have expensive non-fiction books sitting around on their shelves when the same books could be used by another school. This is where the National Library's Curriculum Service has been so important. Duplicating their service at a local level is a hugely wasteful and inefficient way to spend taxpayers' money. The changes may save the National Library a lot of money but that will be offset by the additional costs to every school in the country. Ratepayers may also be impacted if public libraries have to step in to provide resources. Surely a service run by the Government should have the bigger picture in mind? But won't the online service be able to replace curriculum non-fiction? No! Don't get me wrong, I'm a big fan of their online service (I'm the ICT Coordinator at my school so it's not as if I hate technology). But the fact is that for online resources to replace print ones every school needs to have adequate technology in every class. And that is just not the case, not yet. So we need to use digital content AND print resources. What's more the National library's response to the question of limited access to technology is "We acknowledge the challenge for some schools regarding access to connectivity and digital devices. The initial purpose of the enhanced curriculum online service is to support teachers and librarians by providing links to relevant quality online resources including those from the National Library." So they're saying their online service is not aimed at students anyway, and is therefore not to be seen as a replacement for the loss of their curriculum non-fiction (see more questions and answers here). Aren't print loans focussing on reading engagement a good idea? Yes, if the books come from the school library. If they're coming the National Library then we have the issue of trying to track them across the whole school and make sure we get them back at the end of the year. We would have to manage this without the use of our Library Management System (LMS) and this wastes our time. It would also interfere with our ability to track what books are popular, how many issues we have and other high quality information our LMS can provide us with. I'm doubtful that the National Library could provide the amount of high quality fiction that schools would require. If a book is really good all schools would want it, so would the National Library buy thousands of copies? If they're loaned for a year then would some schools have to wait that long for their chance to borrow a popular book? Would you want your students taking home National Library books or would you have to leave them in the classrooms? There are far more questions this raises but I think you get the gist of it. I know we need to focus on reading engagement - I just don't think it makes any sense for that to happen at a national level. It wastes time and resources. What does the Government have to say about this? Question: What are the expected costs, if any, of implementing the changes to the National Library curriculum topic loan service? Answer Text: Implementation costs have not been finalised, but will be met from within Department of Internal Affairs’ baselines. Question: Will school libraries face increased loan costs due to the the changes to the National Library curriculum topic loan service ; if so what are those cost increases? Answer Text: There will be no change to the cost model. The National Library will continue to pay the cost of delivering loans to schools and schools will continue to pay the return freight cost for loans. The return freight cost may change depending on a school’s use of the loan service, but is likely to be between $50 and $150 per year. Moving to an annual loan service may reduce costs for schools that previously had to return books at the end of every school term. Question: What are the expected operation cost savings, if any, from the changes to the National Library curriculum topic loan service? Answer Text: Operational cost savings specific to the curriculum topic loan service have not been finalised. However, the Department of Internal Affairs’ 2014 Four-Year Plan signalled an overall savings from the new National Library Services to Schools strategy of $0.392 million per annum. Question: Who was consulted about changes to the National Library curriculum topic loan service? Answer Text: Please see my response to Question for Written Answer 10019 (2014). Question: What will be the standardised system, if any, for school libraries to track fiction lent to the whole school by the National Library under the changes to the National Library curriculum topic loan service, allowing students to take the books home to read? Answer Text: It will be up to individual schools to decide whether they allow students to take National Library books home. The National Library will provide schools with support and guidance as to how this can be managed should an individual school decide to do so. Question: When was the decision made to publicise the changes to the National Library curriculum topic loan service? Answer Text: The decision to communicate the changes to schools was made directly following the endorsement of the new National Library Services to Schools strategy in November 2014. The intention is to help provide certainty for teachers and librarians during their planning for the 2015 school year and provide adequate notice of the changes to be introduced from July 2015. Question: When was the decision made to introduce changes to the National Library curriculum topic loan service? Answer Text: The new National Library Services to Schools strategy forms the basis for the shift from print-based curriculum topic loans for individual teachers to an enhanced online curriculum service. This strategy was endorsed by the Department of Internal Affairs on 11 November 2014. Question: What is the rationale behind the National Library lending fiction and high interest non-fiction to schools? Answer Text: The National Library’s fiction and high interest non-fiction loan service is supported by a growing body of international research that shows the ability to read for pleasure has a significant and positive impact for the learning, literacy and life outcomes of young people. The change focuses on how children are encouraged to read more and to read for pleasure. 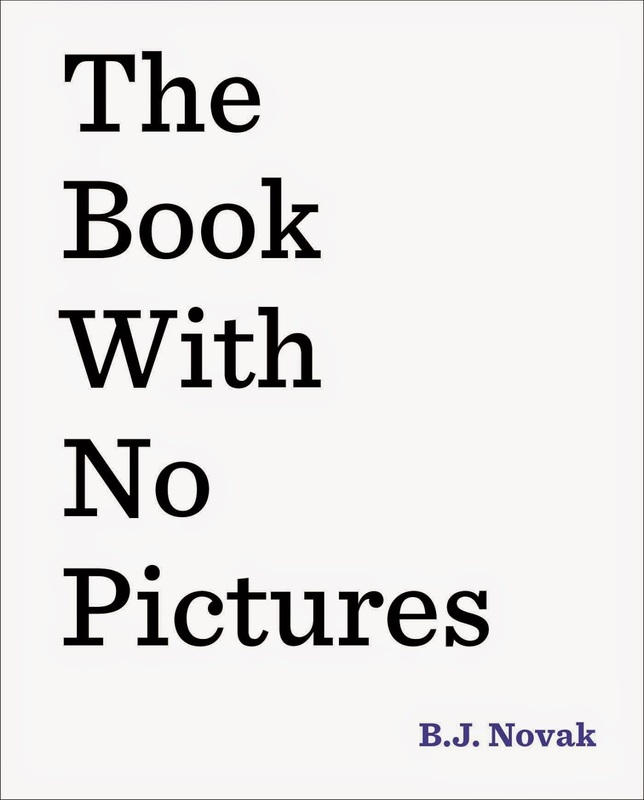 The National Library has a large specialised collection of children’s and young adult’s fiction and non-fiction available for all New Zealand schools to access. This collection will now focus on print loans to support the development of reading for pleasure in young people, while enhanced curriculum topic content will be available through the Services to Schools website. Question: Were teachers and librarians consulted about changes to the National Library curriculum topic loan service; if not why not? Answer Text: One hundred and seven education sector and government experts, including 59 teachers and school librarians, engaged in a series of external focus groups and interviews undertaken as part of the review of National Library Services to Schools initiated in 2012. The outcome of the review was the development of a new National Library Services to Schools strategy to lead system wide improvement of library services for young people. The shift from print based curriculum topic loans for individual teachers to an enhanced online curriculum service is part of this broader strategy. It is one of the most significant changes in the 70 years of Services to Schools delivery. This is also my response to Question for Written Answer 10066 (2014). Question: How does the shift from print based curriculum topic loans for individual teachers to an enhanced curriculum online service help schools if they do not operate the Bring Your Own Device system, have over-booked computer rooms or insufficient ICT resources? Answer Text: The purpose of the enhanced online curriculum service is to support teachers and librarians by providing links to relevant quality and trusted online resources, including those from the National Library. Individual schools decide how they will use digital technology to support teaching and learning based on what they determine is best for their students and school community. Teachers and librarians can access the enhanced online curriculum service from any connected digital device. Due to the increasing availability of high quality, government-funded internet in schools and digital resources to support learning, I am advised the Ministry of Education is also investigating how to further support schools to ensure equitable access to digital devices for all students. If anyone reading this was a part of the external focus group mentioned by the Minister then I would love to hear from you. The outcry to this decision, from both teachers and librarians, has made me curious about whether this scenario, reducing print curriculum resources supplied by the National Library, was specifically discussed. For the record, I know some rather awesome National Library Advisors! My issue is with this decision, not with them. Leave a comment and tell me how you'll be affected by these decisions and what you feel about them. Make sure your principal knows that these decisions affect every teacher, student and librarian in the school and ask them to get involved. If you are a librarian contact a member of your local SLANZA committee and tell them that you want our National Executive to become actively involved in fighting these decisions. A number of things have happened since I first published this post. Some of these have been mentioned in the comments but I thought I would put all the links in one place. 22/1/15 The National Executive of SLANZA wrote an open letter to the National Library. 25/1/15 Sunday Star Times - Library book cuts hit schools hard. 26/1/15 A New Zealand Herald columnist wrote about it (near the bottom of the article). A petition has been set up to protest the changes. Please sign it. 29/1/15 The NZ Principals' Federation issued a press release. 1/2/15 Eleanor Catton and Lorde expressed their concerns. Another petition has been set up, this time by the Labour Party. No harm in signing this one too! 5/2/15 Peter Dunne chooses to attack the Labour Party rather than listen to the outcry from librarians, teachers and principals. 5/2/15 Response to the press release from petition organisers, ActionStation. 12/2/15 Jacinda Ardern puts a question in Parliament to the Minister of Internal Affairs. In late February SLANZA organised meetings across the country for librarians to discuss these changes. Some of these were attended by managers from the National Library. 25/3/15 Jacinda Ardern questions the Minister of Internal Affairs. Peter Dunne has quickly become my least favourite politician. I had to pause the video to let my blood pressure go down. Politics at its worst. 2/4/15 Media release from the National Library. Curriculum topic loans have received a stay of execution, being extended until the end of 2015. Here is more information about the Services to Schools Transformation Programme. Of particular interest is the introduction of an inquiry learning loan in 2016, which appears to be an alternative to the curriculum topic loan administered over two terms instead of one. It is wonderful that the National Library have listened to the many voices who were opposed to their changes. In particular, Jacinda Ardern continued to ask the appropriate questions in Parliament and SLANZA are to be commended for all the hard work they have done on behalf of their members. "Melody is not like most people. She cannot walk or talk, but she has a photographic memory; she can remember every detail of everything she has ever experienced. She is smarter than most of the adults who try to diagnose her and smarter than her classmates in her integrated classroom; the very same classmates who dismiss her as mentally challenged, because she cannot tell them otherwise. But Melody refuses to be defined by cerebral palsy. And she's determined to let everyone know it; somehow". 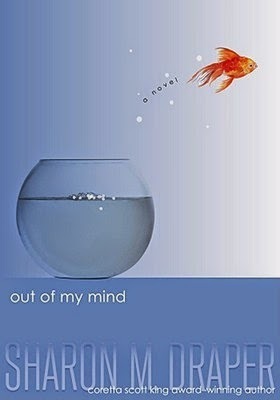 I love the way this book takes you inside the head of someone with a severe physical disability. A great one to promote empathy (much like Wonder). "Can a normal, average kid become a superstar secret agent? Maybe not, but it’ll be fun to watch him try! Ben Ripley may only be in middle school, but he’s already pegged his dream job: C.I.A. or bust. Unfortunately for him, his personality doesn’t exactly scream “secret agent.” In fact, Ben is so awkward, he can barely get to school and back without a mishap. Because of his innate math skills, Ben isn't surprised when he is recruited for a magnet school with a focus on science—but he’s entirely shocked to discover that the school is actually a front for a junior C.I.A. academy. Could the C.I.A. really want him? Actually, no. There’s been a case of mistaken identity—but that doesn’t stop Ben from trying to morph into a supercool undercover agent, the kind that always gets the girl. And through a series of hilarious misadventures, Ben realizes he might actually be a halfway decent spy…if he can survive all the attempts being made on his life!". 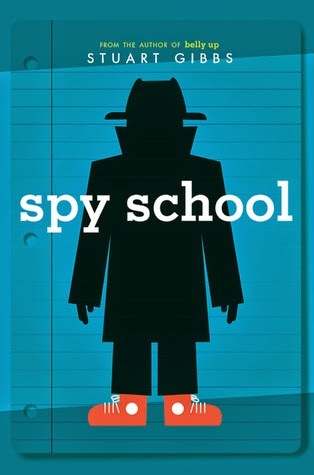 A great spy book for students who enjoy a bit of humour with their mysteries. "Caitlin has Asperger's. The world according to her is black and white; anything in between is confusing. Before, when things got confusing, Caitlin went to her older brother, Devon, for help. But Devon was killed in a school shooting, and Caitlin's dad is so distraught that he is just not helpful. Caitlin wants everything to go back to the way things were, but she doesn't know how to do that. Then she comes across the word closure--and she realizes this is what she needs. And in her search for it, Caitlin discovers that the world may not be so black and white after all". 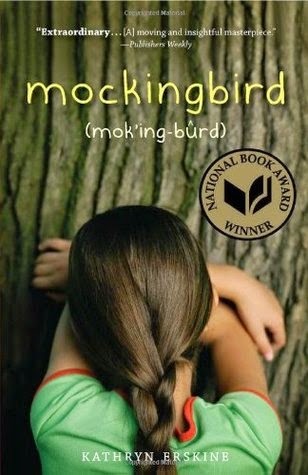 Another book on my list with a main character with special needs. I have friends with sons who have autism and I know that they appreciate any kind of book like this that helps students understand the unique ways a person with asperger's/autism may see the world. "Albie has never been the smartest kid in his class. He has never been the tallest. Or the best at gym. Or the greatest artist. Or the most musical. In fact, Albie has a long list of the things he's not very good at. But then Albie gets a new babysitter, Calista, who helps him figure out all of the things he is good at and how he can take pride in himself". This is rather lovely book about a boy figuring out where he fits in the world and gaining self confidence along the way. I'm going to bully a Year 5/6 teacher into reading it this year. 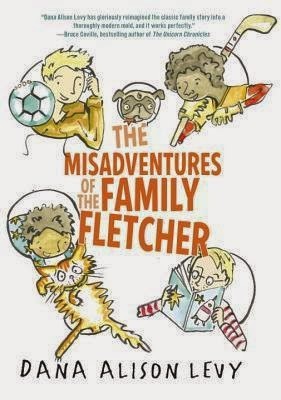 "Meet the Fletchers. Their year will be filled with new schools, old friends, a grouchy neighbor, hungry skunks, leaking ice rinks, school plays, wet cats, and scary tales told in the dark! There’s Sam, age twelve, who’s mostly interested in soccer, food, and his phone; Jax, age ten, who’s psyched for fourth grade and thinks the new neighbor stinks, and not just because of the skunk; Eli, age ten (but younger than Jax), who’s thrilled to be starting this year at the Pinnacle School, where everyone’s the smart kid; and Frog (not his real name), age six, who wants everyone in kindergarten to save a seat for his invisible cheetah. Also Dad and Papa. WARNING: This book contains cat barf, turtle pee, and some really annoying homework assignments". I love the Fletchers. I want them to be real so I can go and meet them. This book is warm and funny and delightful and I highly recommend it. "In a spare, powerful text and evocative illustrations, the Newbery medalist Katherine Applegate and the artist G. Brian Karas present the extraordinary real story of a special gorilla. Captured as a baby, Ivan was brought to a Tacoma, Washington, mall to attract shoppers. Gradually, public pressure built until a better way of life for Ivan was found at Zoo Atlanta. From the Congo to America, and from a local business attraction to a national symbol of animal welfare, Ivan the Shopping Mall Gorilla traveled an astonishing distance in miles and in impact. This is his true story and includes photographs of Ivan in the back matter". 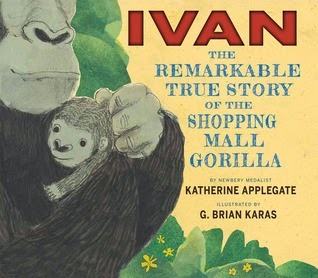 This picture book tells the true story of the gorilla in Applegate's Newbery Award-winning book, The One and Only Ivan. As such it is a great book to share with students who have read that book. 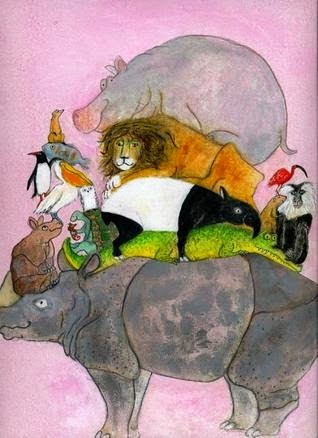 It is also a very powerful book in its own right and would be a good book to read to start discussions about animal welfare and habitats. "Want to blast into orbit? Walk on the moon? Snag a personal photo of a shooting star? Well your time is coming! 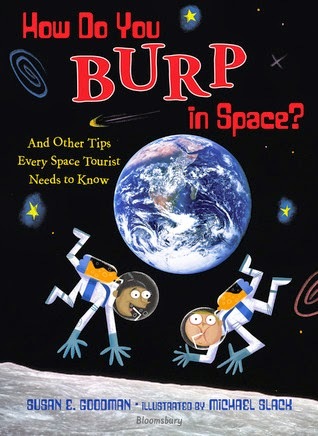 And when it does, you're going to need How Do You Burp in Space? This guide is filled with the kind of information you'd need to plan any vacation including what to pack (hint: no bubble bath or juggling balls! ); what to expect from your accomodations (a sleeping bag attached to the wall), and what to do for fun (leapfrog on the moon!). Grounded in the history of space travel and the planned future of space tourism, this guide book will leave young adventurers daydreaming about future intergalactic space vacations. Get ready to rock your rocketship!" This is a highly engaging, easy-to-read book with fun facts that will capture the interest of space fans. "A boy rides a bicycle down a dusty road. But in his mind, he envisions himself traveling at a speed beyond imagining, on a beam of light. This brilliant mind will one day offer up some of the most revolutionary ideas ever conceived. From a boy endlessly fascinated by the wonders around him, Albert Einstein ultimately grows into a man of genius recognized the world over for profoundly illuminating our understanding of the universe. 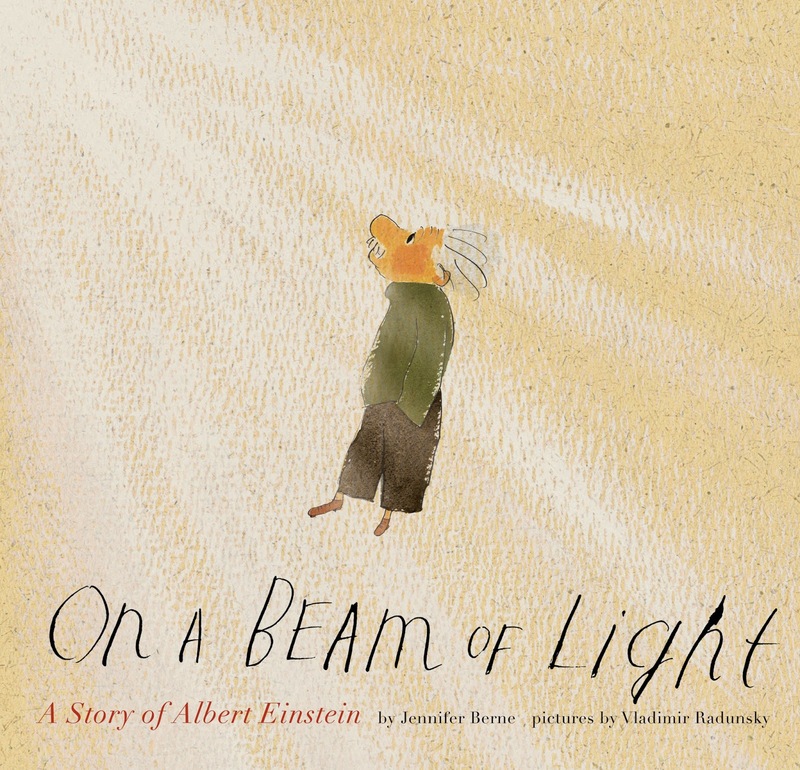 Jennifer Berne and Vladimir Radunsky invite the reader to travel along with Einstein on a journey full of curiosity, laughter, and scientific discovery. Parents and children alike will appreciate this moving story of the powerful difference imagination can make in any life". I was surprised that I enjoyed this book so much, it's not normally what I would be interested in. This picture book biography of Einstein gives details about his life but also emphasises how Einstein was always questioning things, observing and wondering and being curious about the world around him. "If a camel gets angry, he will throw up green gastric juice over you. A sloth moves so slowly that green algae grows in his fur. Even a blind chameleon takes the color of its surroundings. Bologna Ragazzi Award winner Marije Tolman, creator of The Tree House and The Island, illustrates in her distinctive style curious, funny, bizarre, unbelievable, disgusting and weird facts about fifty different animals. The animal facts are straightforward nonfiction, Marije Tolman's illustrations are pure fantasy, creating a combination that is sure to engage readers." I've always loved books with strange and quirky facts and this book has some truly bizarre ones. The illustrations are unique too, making it a book that I love introducing to our students. 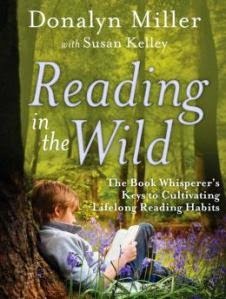 "Teaching students to become lifelong readers A companion to the bestselling The Book Whisperer, Reading in the Wild explores whether or not we are truly instilling lifelong reading habits in our students and provides practical strategies for teaching "wild" reading. Based on survey responses from over 900 adult readers and classroom feedback, Reading in the Wild offers solid advice and strategies on how to develop, encourage and assess key lifelong reading habits, including dedicating time for reading, planning for future reading, and defining oneself as a reader.Includes advice for supporting the love of reading by explicitly teaching lifelong reading habits. Contains accessible strategies, ideas, tips, lesson plans and management tools along with lists of recommended books co-published with Editorial Projects in Education, publisher of "Education Week" and "Teacher Magazine"
Packed with ideas for helping students choose their own reading material, respond to text, and build capacity for lifelong reading". You should also read The Book Whisperer, if you haven't already. I can't recommend both these books highly enough. If I was in my office and suddenly heard the sound of raucous laughter coming from the library I knew immediately which book has been selected. Here is a link to the book being read so you can see what I mean. 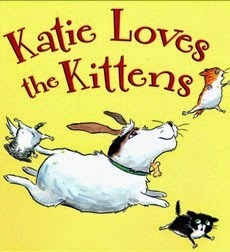 This is a sweet book about an exuberant dog who can't help scaring the new kittens when all she wants to do is play. I have a son who still does this with our cats so the message from this story really appealed to me (not that it got through to him!). The illustrations in this book are gorgeous and I thought the surprise ending was hilarious. 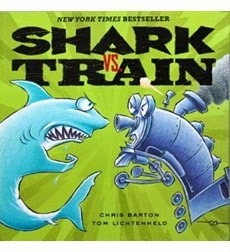 Shark and Train square off in a number of competitions. A big hit with the boys. This book deals with the loss a boy feels when his father is no longer in his life. 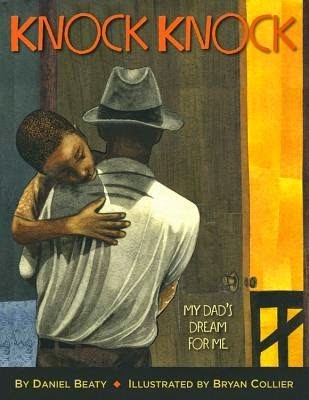 It is a beautiful and poignant story told by an author whose father was incarcerated when he was young. Cat wants to replace the Easter Bunny until he realises that the Easter Bunny's job is pretty tough! 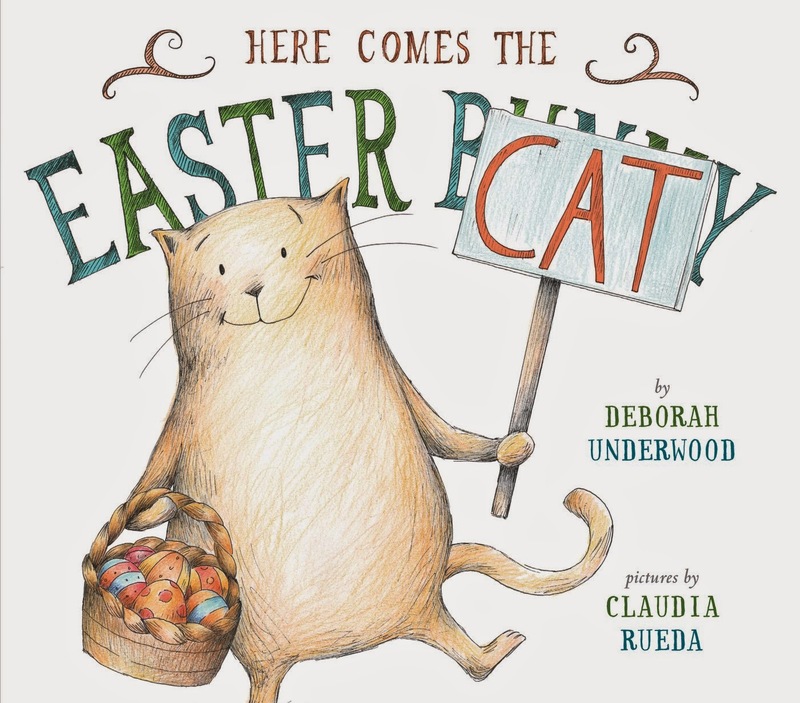 The interaction between the narrator, who speaks to the cat directly, and the cat, who holds up signs or acts in response, is very witty. Musk Ox wants every letter of the alphabet to be about him. Zebra protests and tries to reason with him but that Ox is pretty stubborn. 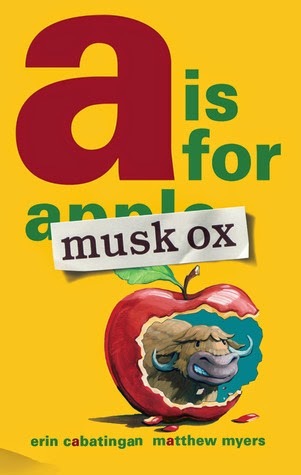 Learn much more than you knew before about Musk Oxen in this really funny alphabet book. I often forget to add picture books to my Goodreads account, and I have a terrible memory, so if you feel I've missed some out let me know.